Natures Walk Studio: Go where you are Celebrated! 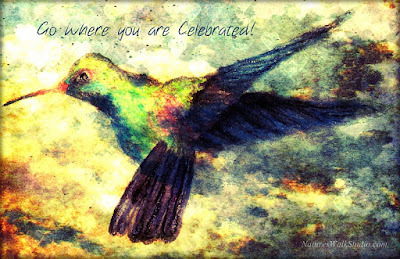 You deserve to be celebrated as the special person you are. If your friends (and family) don't treat you that way, go find people who will! I really love this, the art and the thoughts! I agree! Love this painting.